Do you need Ninja Tactics to Get Exposure for Your Business FAST? 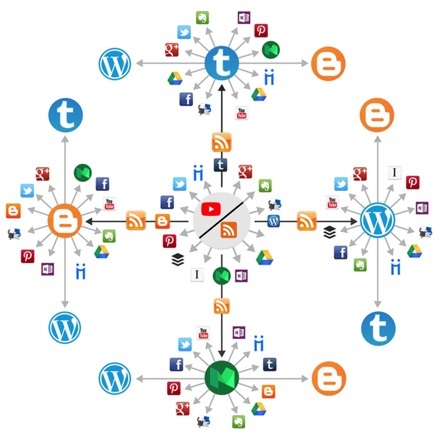 We create a Powerful Tiered Social Syndication Network/ring and we put it on Autodrive. Each Ring consists of 15+ high PR web 2.0 Social Media Marketing sites and we setup those accounts in a Syndication system for Autopost. Automated syndication network(s) helps your Website to increase it's metrics like CF & TF and search rank in Google very fast. This Auto Link Building Marketing Strategy provides best social signals to help rank and get traffic any Website and YouTube video very quickly. - All networks are built with INDUSTRY "BEST PRACTICES" STANDARDS. It's only for interlinking your social links. It works like "Do-Follow" backlink. It will help to get more visible on search engine. Every Syndication Network is made of us nearly 2 dozen online properties chosen from the best web 2.0 and social sites. As better sites become available, we incorporate them into the process, and remove sites that no longer perform well. Maximum Exposure is to combine Backlink Strategy with Google Stack and Syndication Network Strategy for the 1-2-3 Punch - to Knock Out The Competition! After ordering a Syndication Network, our expert team will hand build Web 2.0’s, bookmarking sites, and more, which are then interconnected using best practices so that you get the most power and all posts are automatically syndicated. Your Syndication Network is built by our professional team that has years of experience and have been trained by a BroadMoar principal, or a senior member of the build team. Our Syndication Networks are built to the precise standards set out by “Best Practices” and have been updated over the years to provide more power, authority, and trust for your digital properties.